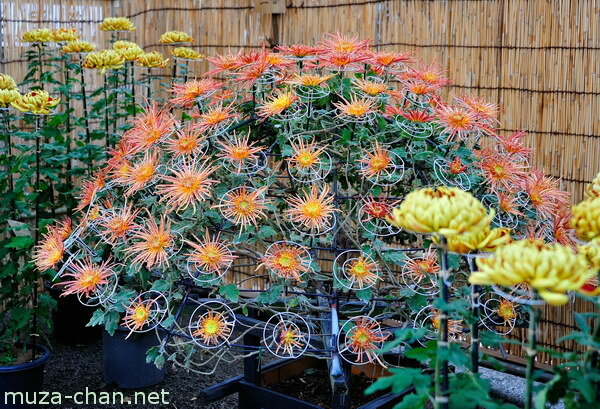 The most difficult chrysanthemum display is the senrin zaki (also called ozukuri), meaning “one thousand flowers from one stem". 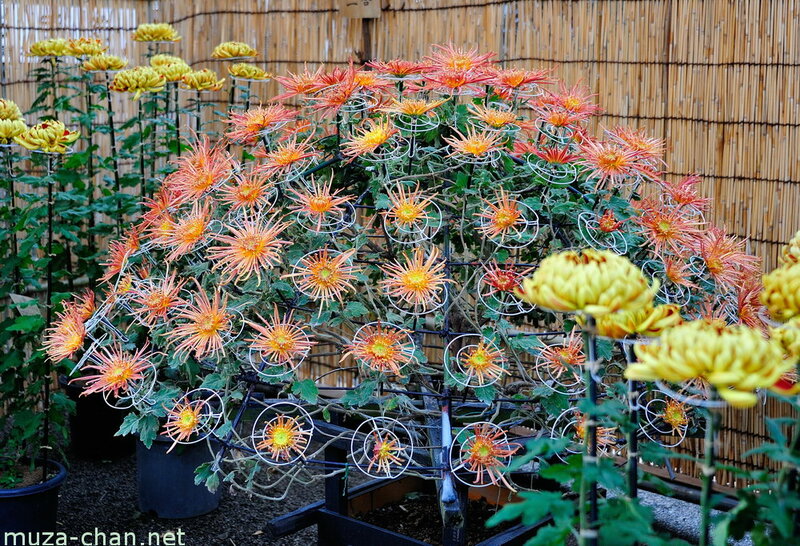 A single plant, usually with large flowers, is grown on a wire and bamboo frame, producing hundreds or even thousand simultaneously blooming flowers. This giant arrangement can reach 3-4 meters, and it is known that it was first made for the Imperial family in 1884.